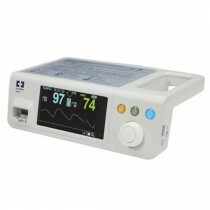 Heart rate monitors are not only for athletic purposes. Having knowledge about your heart rate can be beneficial to catching developing health problems. Your heart rate equals the number of times your heart beats per minute. Each person is different, so it's important to know what your particular "healthy heart rate" is in order to gauge your heart-health. Age plays a major role in your overall health, but a change in the regularity of your pulse can signify a condition that requires medical attention. To get an accurate reading of your heart rate, place your finger on your wrist, side of your neck, top of the foot or inside your elbow and count the number of beats in 60 seconds. Avoid using your thumb, it has its own pulse and may muffle the accuracy of beats counted per minute. 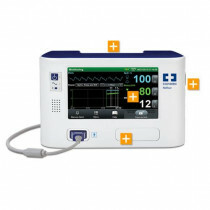 Bedside monitors, such as the Nellcore Bedside Respiratory Monitor and the Nellcor Bedside Sp02 Patient Monitoring System allow for an individuals heart rate to be tracked consistently and accurately. Whether used in a medical facility or within the home, keeping track of your heart rate is a crucial part of taking care of your heart health. Don't let medical conditions with your heart sneak up on you, understanding the importance of a healthy heart rate is beneficial to your overall health.